1. What does digital connectivity look like across the UK? 2. How can cities speed up the roll out of infrastructure? Case study What is the Government doing? 3. What can cities do to improve take-up? The shortage of digital skills and the productivity of workers who develop these skills is demonstrated by the remarkable results of the Per Scholas programme in the US. post-employment retention and advancement services. Three years on from the programme, Per Scholas has been found to have ‘large and growing’ impacts on employment and earnings, with participant earnings $4,800 or 27 per cent higher on average than the control group. This is an increase on the two previous years, with no effect on earnings in year one, and $3,700 in year two. Both effects were statistically significant and on the back of a large-scale, rigorous randomised control trial. 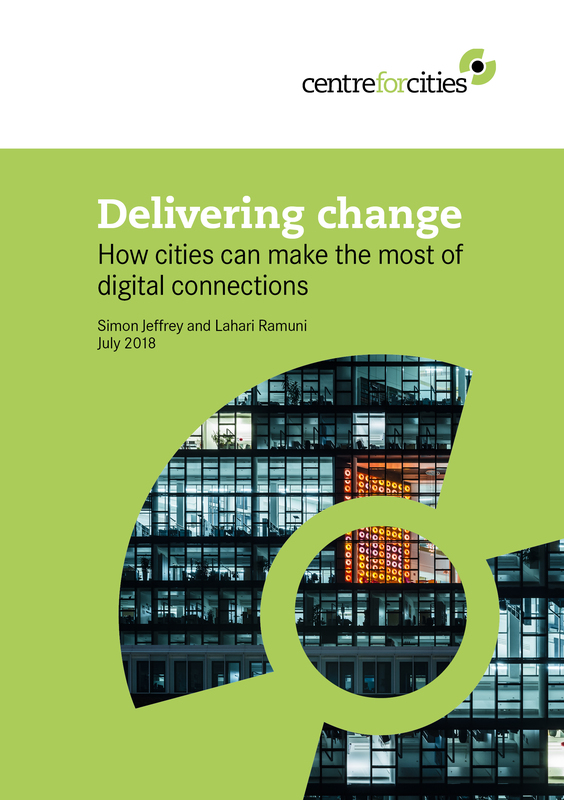 Cities and businesses working together through Digital Skills Partnerships should look to understand how these two US programmes have had such success and how similar schemes might work in UK cities.